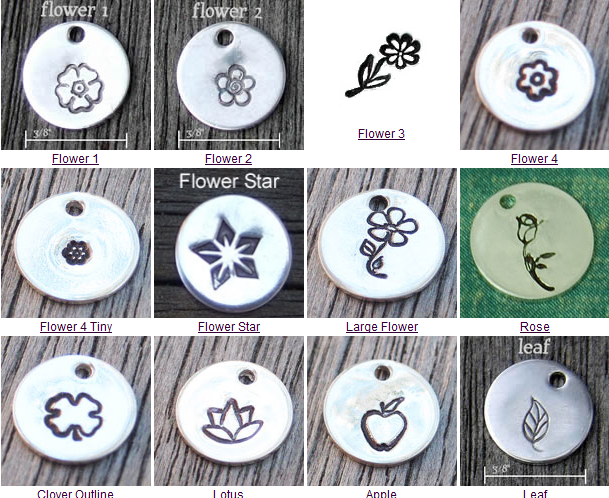 The beauty of flowers, the vitality and renewal symbolized by plants…these are some of the most popular options people add to their personalized necklaces. 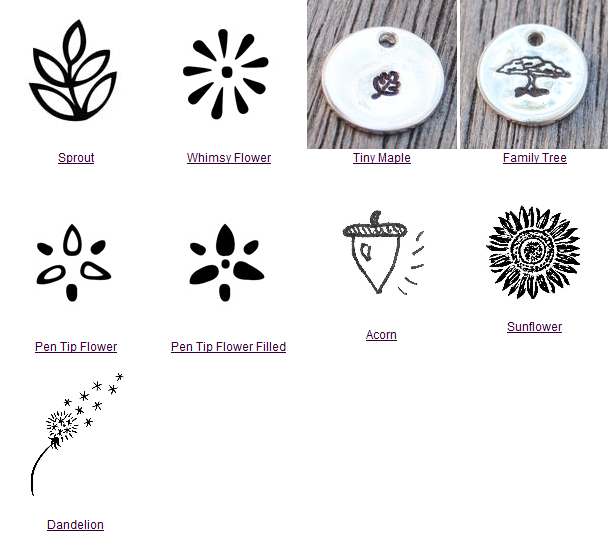 Any of these flower and plant symbols can be put on your charms. If you see a symbol you like, write it in the personalization field for the charm you wish to have the symbol put on. Over the years, we’ve collected a LOT of stamps & symbols, so you’re sure to find something you like! If you don’t, just contact us, and we’ll be happy to help get you what you want.